The meniscus acts as a significant cushion in your knee. A meniscus is a c-shaped disc of soft cartilage that sits between the femur and the tibia. When the meniscus tears that cushioning effect functions poorly, that might lead to arthritis and knee pain. There are many structures within the knee which can cause pain. By far, one of the most common causes of knee pain is a meniscus tear. I see many patients with a meniscus tear and wish to have a second opinion. When I ask them what a meniscus is… they are typically not very accurate with their description. For you to make an informed decision about your tear, it is essential that you have a good understanding of what a meniscus is and what your treatment options are. Let’s begin. A meniscus is a crescent or “c”-shaped cartilage disk that’s found in the knee. 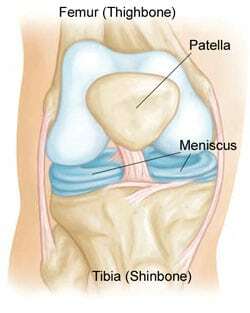 There are two menisci in each knee. We have one on the inner side of the knee which we call the medial meniscus and one on the outer side of the knee which we call the lateral meniscus. The menisci serve a very important function in the knee. 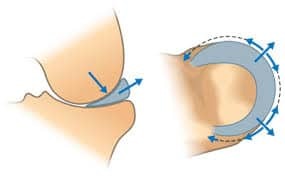 Our meniscus functions as a shock absorber or cushion to minimize the stress on another type of cartilage that we have in the knee which we call the articular cartilage. The articular cartilage coats the ends of our bones within a joint. By protecting the articular cartilage, the meniscus helps prevent the onset of arthritis. The meniscus also serves to improve the stability of the knee. The meniscus acts like a block stuck behind a tire to stop a car from rolling. The less meniscus you have, the more stress the rest of your knee sees and the more unstable the knee may be. See below for a long list of related articles for further reading about meniscus tears. If a friend tells you they have a “torn cartilage” they are generally referring to a torn meniscus. When the meniscus is not functioning correctly, or it is split, then you may feel pain with turning, pivoting or twisting. Also, you may develop a feeling of instability or a feeling that the knee wants to give way. Unfortunately, the meniscus does not possess regenerative capabilities. That means that the tissue can wear out over time. Because the body does not possess the ability to heal a meniscus (like a cut on your skin) these tears rarely heal on their own. When a tissue has poor regenerative potential, the likelihood of suffering a degenerative or attritional meniscus tear is very high. 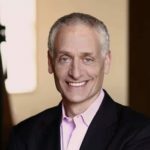 Simply stated that means that our meniscus can simply wear out and tear from the cumulative stress that we have put on our knee throughout our lives. The meniscus functions as a shock absorber. In the picture to the right, you can see how weight-bearing or walking forces the meniscus to move towards the outside of the knee when pressure is applied. This is how the meniscus takes the stress off of the articular cartilage on the end of the bones. The image at left reveals a normal meniscus sitting between the femur above and the tibia below. The meniscus is a C-shaped structure in your knee that is made of fibro-cartilage. It acts as a cushion for the knee when it’s bearing weight. that is, the meniscus simply wore out from years of use. Most adult patients with a torn meniscus don’t even recall how or when the meniscus tear happened. 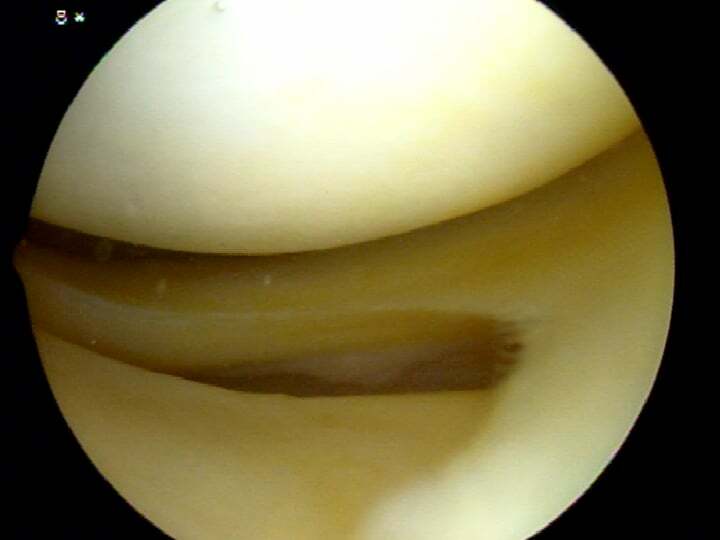 The presentation for a meniscus tear is usually entirely different in children or adolescents. Meniscus tears in children are usually traumatic and will often arise from a non-contact twisting injury. Is surgery necessary for all meniscus tears?